WASHINGTON, DC, April 30, 2012 (ENS) – Prime Minister of Japan Yoshihiko Noda pledged Sunday to make Japan-U.S. relations “bloom,” expressing eagerness to enhance bilateral ties symbolized by the 100th-anniversary year of Tokyo’s gift of 3,000 cherry trees to Washington, DC in 1912. This afternoon, President Barack Obama announced a reciprocal gift of 3,000 dogwood trees to Japan this year. These dogwood trees are to be planted in Tokyo and throughout Japan, including in areas recovering from the Great East Japan Earthquake of 2011, as a symbol of friendship. Soon after arriving in the U.S. capital Sunday, Prime Minister Noda held a reception for some 100 people including U.S. government officials, to thank them for their support following the devastating March 2011 earthquake and tsunami in northeastern Japan. Speaking at the Japanese ambassador’s residence in Washington, Noda said support networks throughout the United States sprang up after the disaster due to grassroots ties between Japanese and U.S. citizens. Before the reception, Noda held a private meeting with members of the Fairfax County Search and Rescue Team that carried out life-saving in the afflicted area. He also met with the family of Taylor Anderson, an American teacher who was killed in the disaster, said the Japanese Foreign Ministry. Taylor was teaching English in Ishinomaki City, Miyagi Prefecture, when the tsunami struck. Meanwhile, in Japan, the Tokyo Electric Power Corporation, TEPCO, is still struggling to control the Fukushima Daiichi nuclear power plant devastated by the earthquake and tsunami. Three explosions in the week following the quake as well as nuclear fuel meltdowns in three of the reactors and a spent fuel pool released radiation across Japan and the Asia-Pacific region. Plant operators have brought the reactors into a cold shutdown condition, but Units 1, 2 and 3 still require circulating water pumped in to remove heat from their fuel. 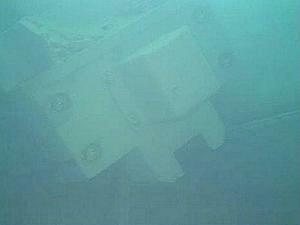 On April 13, a TEPCO survey of the Unit 3 spent fuel pool revealed that a 35 tonne piece of the refueling crane had fallen onto one of the spent fuel racks. “This could lead to significant damage compromising the fuel integrity if proper care is not taken and will likely severely complicate the de-fuelling operation,” the IAEA cautioned. “There is also the very real possibility that the fuelling machine has caused deformation to the rack (or the fuel assemblies within),” the international agency warned. Hundreds of thousands of Japanese people who lived within 20 kilometers of the nuclear plant were evacuated. While residents farthest from the plant were allowed to return earlier this month, many still are housed in shelters. 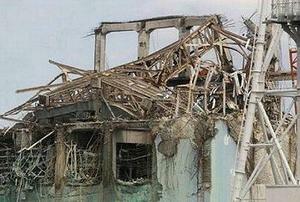 Noda was not Prime Minister on March 11, 2011 during what is now called the Great East Japan Earthquake. He took office in September 2011 as Japan’s sixth prime minister in six years. Today, as they meet at the White House, the earthquake tsunami and nuclear disaster will be uppermost on the minds of President Barack Obama and Prime Minister Noda. This is the third full meeting between the two leaders, and they also have seen each other numerous times on the margins of meetings, such as the Nuclear Security Summit last month in Seoul. In addition to the nuclear catastrophe, the two leaders will discuss the U.S.-Japan Security Alliance, economic and trade issues, and deepening bilateral cooperation as well as regional and global security concerns. 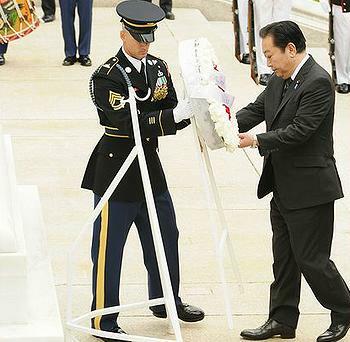 This morning Prime Minister Noda placed a ceremonial wreath at the Tomb of the Unknown Soldier, Arlington National Cemetery, Virginia. Noda’s Oval Office meeting and working lunch with Obama will be followed by a gala dinner hosted by Secretary of State Hillary Rodham Clinton. The two sides intend to show that U.S.-Japan ties are still close. Secretary Clinton and Prime Minister Noda will discuss will celebrate the enduring people-to-people ties between the two nations and will announce a new gesture of friendship between their countries. They will highlight the Tomodachi initiative, a public-private partnership that supports Japan’s recovery from the Great East Japan Earthquake with initiatives from the business community, academics and civic groups, as well as sports and entertainment figures. 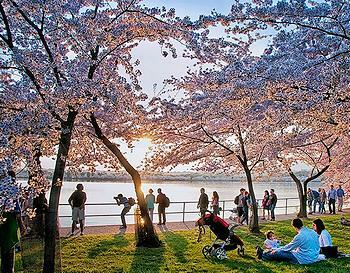 In honor of the 100-year anniversary of Japan’s gift of the cherry trees, the National Cherry Blossom Festival has committed to planting over 1,000 cherry trees in neighborhoods across the U.S. capital city.